The way people search for information online is changing. Increasingly, people are using voice search on their smartphones, tablets or voice assistants (like the Amazon Echo or Google Home devices) to search for information on the internet. Siri is your best friend if you’re using an Apple device, Google voice search is popular on Android devices and Microsoft’s Cortana is useful on your PC and smartphone using their app. According to Hitwise, nearly 60 percent of searches are now performed on a mobile device. With more and more people using mobile devices to search, people often find it’s easier to use their voice to search instead of typing on tiny screens. This means SEO professionals need to start thinking about content and SEO differently. Searching by voice is a hot topic among forward-thinking SEO professionals. At SMX West 2017 last month, Benu Aggarwal had a popular session on the subject, “Optimizing Content for Voice Search and Virtual Assistants.” During that session, she gave some great tips on how SEOs can start thinking and planning for a different type of search strategy for voice searches. Most of us remember when Siri first came out back in 2011. The technology was a novelty, a cool tool to test out, with sometimes informative and other times laughable responses to voice queries. Not many people predicted it would become a major digital trend of the future. But voice search has changed a lot since then. Now there are a variety of voice-activated technologies on the market (e.g., Cortana, Amazon’s Alexa, Google Assistant). People use voice search on their mobile devices, and more than 420 million voice assistants have been sold. People already use voice assistants way more than they used to, mostly for commands (e.g., set an alarm, call Mom). But there’s still a lot of growing potential for search marketing as well. Voice commands are a great tool when you’re cooking and need to check a recipe but your hands are covered in flour. It’s also a popular hands-free method to get local business information while driving. At the same time, almost everyone can ask a question out loud faster than they can type it, especially when using a mobile device. While many people today are still learning the benefits of using voice search to get information, it’s becoming a valuable tool to simplify the search process and quickly get answers without interrupting your other daily tasks. While adoption of voice search is still growing, smart marketers will start optimizing for it now to get the most out of search marketing in the long run. Voice search optimization is already important for large and local small businesses. People often use voice search while driving, asking questions about business location, store hours, etc. Both small businesses and chain companies looking to optimize for local SEO should already be taking voice search queries into consideration. Most businesses optimizing for voice search today do so as an afterthought. They try to make changes to their existing content to make it better suited for voice search results. While that approach can be somewhat effective, it won’t be worthwhile in the long run. More businesses are optimizing for voice search every day, using the same strategies and becoming equally competitive. If you really want to stand out from the crowd for search engines, you should consider voice search optimization when developing content from the beginning. Here are six big changes you’ll need to make to optimize for voice search. You must consider the semantic differences in queries. So you need to brainstorm what kind of questions people might ask related to your target keywords. Lots of tools can help you do this. When building your content strategy for voice search optimization, you’ll want to map questions onto the various points of your customer journey, which ensures you’re available through voice search at any stage the customer needs. Try to organize the questions you brainstorm into different categories that map onto the customer journey. Aggarwal’s strategy suggests integrating FAQ pages into every major section of your site. Her strategy isn’t the only way you can optimize for voice search, but it illustrates how deep voice optimization can penetrate into your site structure and content strategy, if you let it. There are some surface-level changes you can make to your content to be more voice-friendly, but it’s far from the extent of your options. If you want to really maximize voice search capabilities, you’ll need to get buy-in from various arms of your organization (developers, designers, content creators, etc.). Optimizing for voice search is very hit and miss. Unlike with regular search results, where the second result for a search query is likely to attract a lot of valuable traffic, voice search only returns one answer to searchers from the number one best-optimized result. Ensuring your pages are easy to crawl is one part of this. If you haven’t done so already, create a sitemap and submit it to Google Search Console. Structured data markup helps you create metadata for your content that tells Google what its about but doesn’t affect how your content appears for users. Here’s a full list of all the things you can mark up with Schema. 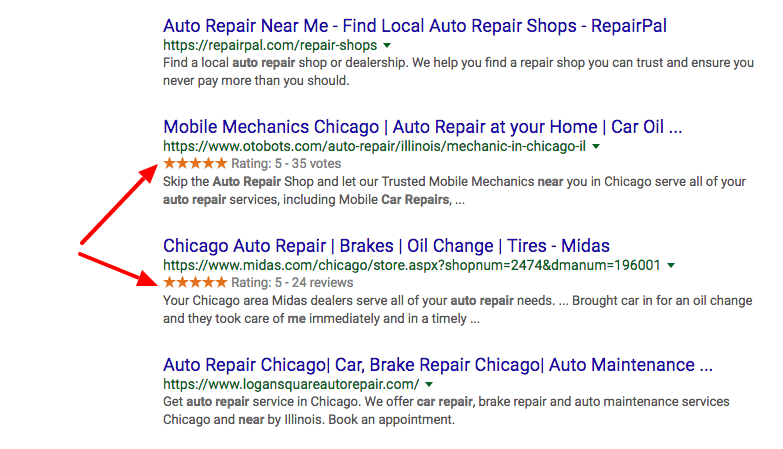 Structured data markup doesn’t affect your rankings directly, but can help give you a boost in voice search results by illustrating the relevance of your content for specific queries. Using structured data is also a good SEO practice overall, as it can help Google feature elements of your content in search results. Once you’ve implemented structured data markup for your voice optimized pages, you can use Google’s Structured Data Testing tool to check your work. Then submit a new sitemap to Search Console. Another strategy you can use to make your content more accessible for home assistant users is creating Actions on the Google App or building custom skills in Alexa. These actions are essentially software that expands the abilities of Google Assistant (or Alexa) to interact with your content (or app if you have one). Actions make it possible for users to have back-and-forth conversations with your app or content, making it more relevant and valuable to voice command users. That said, you shouldn’t create actions just for the sake of it. If you do create an Action and want it to get used, it should be useful and optimized for the needs of voice home assistant users. It’s possible to create a wide variety of Actions for an app. If you want to have content-based actions, it needs to be for a podcast, recipe, or news publication that already uses structured data markup and Accelerated Mobile Pages (AMP). Then all you need to do is claim your Actions through the directory. Search algorithm updates in recent years have already made search engine marketing a “mobile-first” environment. There’s no telling if it will one day switch to prioritizing voice-friendly results, but it wouldn’t be a surprising end result based on the benefits of voice search and its current growth trajectory. Luckily, optimizing for each of these search experiences aren’t mutually exclusive strategies. Remember that most voice searches actually come from mobile devices. And much of what you can do to optimize for voice search is also beneficial for mobile-first optimization. Page speed is a mobile ranking factor because users expect quick results when searching for information on the go. 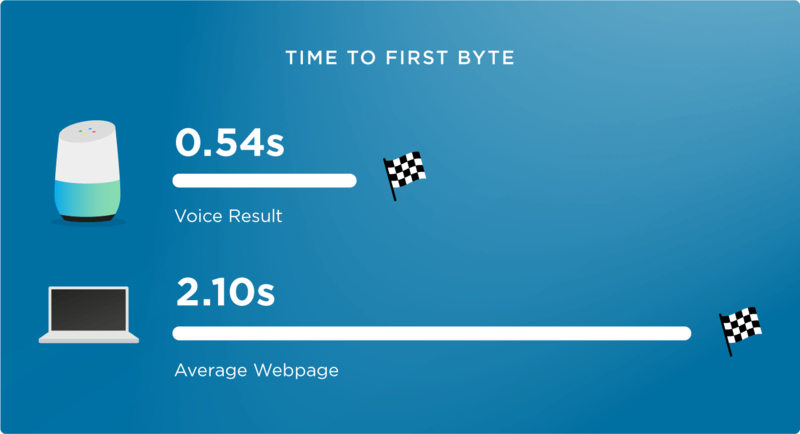 So improving page and site speed is valuable for both strategies. As explained above, using structured data can help make your content more relevant for voice search results, and you need to use AMP if you want to have Actions on Google app. 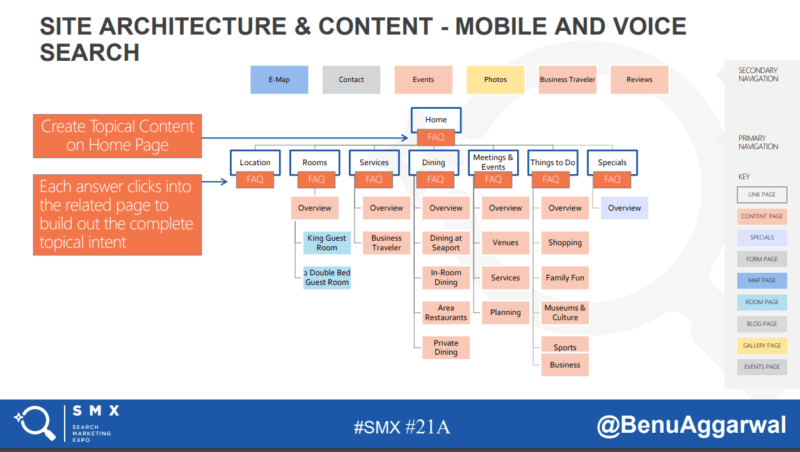 Structured data can also make your content easy to summarize and consume in search results that appear on mobile phones. AMP optimized pages also greatly prioritized in mobile search results. A much higher percentage of mobile and voice searches are location-based queries. People use their mobile web browsers or phone’s voice search capabilities to get information (e.g., location, business hours, products available) about local businesses they plan to visit. So the more you can do to optimize your site and content for local search results, the better optimized you’ll be for both kinds of queries. Claiming your business listing through Google My Business is the first step. Then develop content that easily answers location-based questions. While there are already many steps you can take today to incorporate voice optimization into your SEM strategy, it’s really only just the beginning. Home voice assistants are just now becoming popular. People are learning more about the capabilities of these tools, and are likely also exploring more voice command capabilities on their mobile devices as a result. Meanwhile, Google, Amazon, Microsoft, and other major players in the area are constantly developing new features and capabilities to help the use of voice search grow. The best thing you can do to stay on top of the voice search game is to be ready for future developments as they come along. As more people adopt the technology, the more insight you’ll get into how your business can fit user needs through voice search. The fact that Google has plans to add voice query data to Search Console in the future is one prominent example of a development we can look forward to. Adding voice query data into Search Console means you’ll have actionable, personalized insights into how users are already reaching your sites through voice search. At this point, there’s no way to know if voice commands will one day dominate search queries. What is clear: voice commands are poised to have a big impact on search marketing. Considering that nearly all the steps you can take to optimize for voice search are beneficial to your SEM efforts overall, the decision to focus on voice optimization should be an easy one. Incorporating these strategies into your overall optimization efforts can help you ensure you’re prepared to capture new voice traffic as adoption continues to grow. Since search engines were first introduced to the mainstream in the mid-1990s, users have learned how to succinctly enter keyword phrases to find information on the internet using a PC. 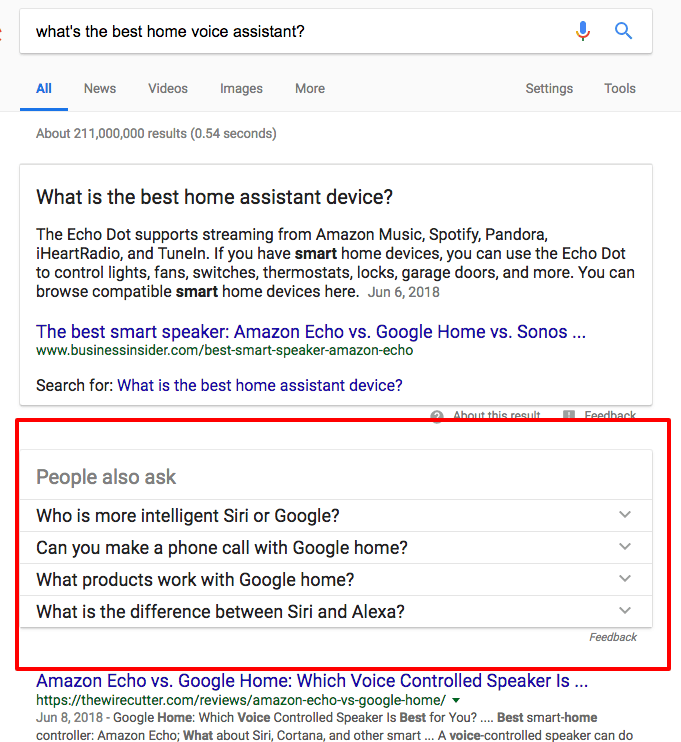 Unlike search keyword phrases that you type into your computer, voice search is more conversational and natural in tone. Voice search is also typically mobile and often locally focused. For example, when I traveled to San Jose for SMX West, my smartphone knew where I was physically located. So when I searched for a restaurant, my phone anticipated where I was (not in Cedar Rapids, Iowa), and the search results for restaurants were all in San Jose. Because they’re more conversational, voice search queries are also usually longer than typical text keyword search queries. It’s important to remember that the whole purpose of these new technologies is for the device to provide the best results for on-the-go searchers. To do this, the devices try to find easily identifiable, short and relevant pieces of content to serve back to the searcher. Here are some tips that can help you optimize for voice search. According to the Internet Trends Report 2016, people are using voice search for a variety of searches. With an estimated 22 percent searching for local content and information, local businesses (and agencies that do local SEO) need to start strategizing for local voice search. If you haven’t claimed your Google My Business listing yet, what are you waiting for? It’s time! Claiming and optimizing Google My Business is a great way for Google to find out more information about your business, like the category of business you’re in, your address, phone number, business hours and more. Now keywords are no longer just keywords. Keywords in the voice search world are long-tail+. The “plus” refers to the conversational phrases that you need to add when optimizing for conversational voice search. Your keyword strategy must now be more conversational in nature and mimic how real people talk and ask questions verbally. Start thinking about the types of questions you get when customers call you on the phone to ask questions about your business, then start documenting and recording the exact words they use when they talk to your customer service representatives. Once you have a list of questions and statements your customers give you over the phone, you can then start creating content pages that focus on those longer, more conversational search terms. A great way to use the aforementioned customer data is to create FAQ pages that focus on those long-tail+ conversational keyword phrases. Try to group common questions on the same page. Go for natural-sounding questions and phrases instead of the old SEO-keyword phrases you’re probably used to using. If you need to create several different pages so that the voice search technologies have a better chance of pulling information from your site, go for it! Also, anticipate more direct questions from searchers. Searches like “best digital camera” will start to disappear, and hyper-specific searches will become more popular. Example: “Alexa, where can I find a waterproof video camera that works with Facebook Live?” Offer quick, succinct answers to questions that voice searchers are asking. Use structured data markup (applying the correct schemas) to give these voice search devices even more information about your site and content. Structured data markup from schema.org is crucial for your site, as it defines more specific information and makes it easier for search engines to accurately parse your content and understand its context. Voice search is not going away. It’s time SEOs start optimizing their sites for this brave new world of voice search — so they’re not left behind.